An immediate denture is a complete denture or partial denture inserted on the same day, immediately following the removal of natural teeth. There are several advantages of an immediate denture. The most important factor is that you will never need to appear in public without teeth. It is also easier to duplicate the shape, color and arrangement of your natural teeth while some are still present in your mouth. When an immediate denture is inserted at the time of extraction, it will act as a Band-Aid to protect the tissues and reduce bleeding. An immediate denture will allow you to establish your speech patterns early. You will not have to learn to speak without a denture in place and then later relearn to speak with a new denture. 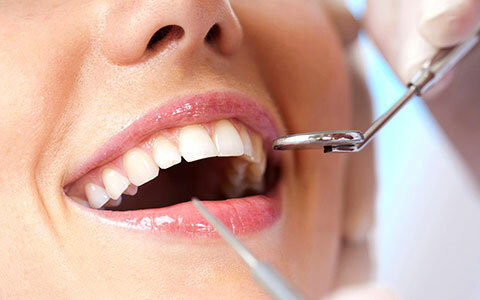 An immediate denture will also allow you to chew better than without any teeth and minimize facial distortion that may occur when teeth are removed. Call Dayan Dentistry at (416) 322-3233 to book your appointment. We are conveniently located at 709 – 2300 Yonge St. in Toronto, ON. Temporomandibular™ disorders is the name given to several problems with jaw movement and pain in and around the jaw joints. Dayan Dentistry is the practice of modern dentistry that combines art and science. We are committed to excellence in dentistry and we consistently strive to achieve the optimum level of health and beauty for your mouth.